I love potato salad, but I don't eat it that often. 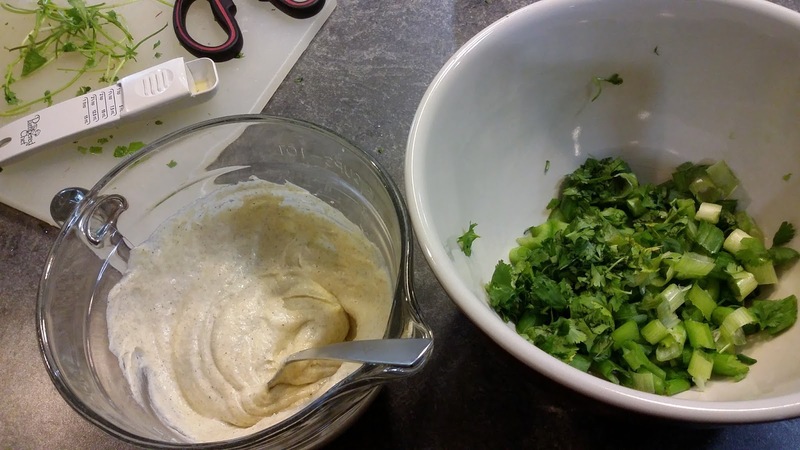 It's not usually one of the go-to recipes in our kitchen. I wanted to FINALLY use up that 10 pound bag of potatoes! Man! That bag lasted so long. 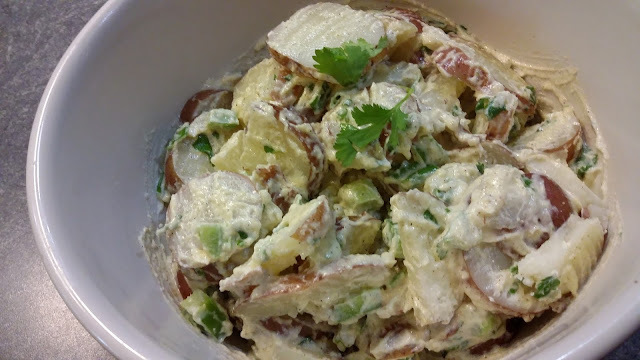 This was a thrown-together potato salad for the night we were "pretamping" ~~ pretend camping in our yard over the 4th of July holiday weekend. 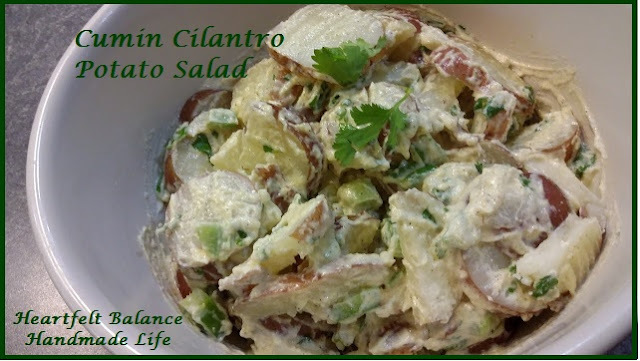 I still had some fresh cilantro in the kitchen fridge that I needed to use, so I created a Cilantro Cumin Potato Salad. I leave potato skins on everything that I cook with potatoes, so this is a skin-on potato salad. We ate it with those YUMMY burgers that we made this weekend! 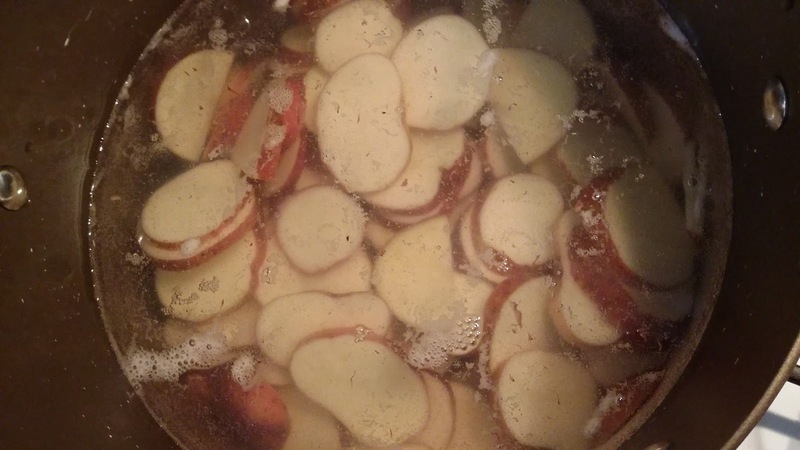 while potatoes are draining, make dressing by combining mayonnaise, onions, cilantro, green pepper, cumin, garlic powder, onion powder, black pepper, EVOO, rice vinegar and salt. What is your favorite type of potato salad?